“Charmingly infectious, touching and poignant…delightfully irresistible. AVENTURA, FL: After a record-breaking success at the historic Lambs Theater in the heart of Broadway in 2006-2007, and a reprise in 2012, Jake Ehrenreich returns to South Florida and the Aventura Arts & Cultural Center for a limited run of just four encore performances of his hit show A Jew Grows in Brooklyn. The show will run from January 24-26, 2016. Ehrenreich’s “rock ‘n roll true story, Holocaust family, Borscht Belt” autobiographical comedy sold out when it played at Aventura last season. When Jake Ehrenreich was growing up in Brooklyn in the 1960s and 70’s, he wanted nothing more than to be All American. But his Yiddish-speaking parents, who failed to understand the game of baseball or make sense of rock music, made it difficult for him to feel part of the mainstream culture. In his comedy musical memoir, A Jew Grows in Brooklyn, directed by Jon Huberth, Ehrenreich explores how his family history, dominated by the shadow of the Holocaust, shaped the man he turned out to be. A multimedia performance, complete with photos and video of his relatives, bar mitzvah, and wedding – and filled with laughter, tears, and music, Ehrenreich’s stories will resonate with audiences of all ages. “I wanted to tell a very serious story – but make it accessible with as much joy and laughter and music as possible”. Ehrenreich said, noting that his show is mostly upbeat and optimistic. Jake Ehrenreich, 58, an award winning actor, playwright, musician and author, has appeared on Broadway in Dancin’, Barnum and They’re Playing Our Song and toured internationally as Ringo in Beatlemania. He has performed and recorded with such diverse artists as Richie Havens, Greg Allman, Tito Puente, Cab Calloway, Jay Leno and the Smothers Brothers. After over 2,000 performances, and a National Tour of more than 25 cities, the extraordinary success of the stage play has spawned many branches, including a full-length book, A Jew Grows in Brooklyn: The Curious Reflections of a First Generation American (Published by HCI), a PBS documentary in the works, A Jew Grows in Brooklyn Day proclaimed in New York City, and even a sandwich namesake at the famous Carnegie Deli. A Jew Grows in Brooklyn will run from January 24 to 26 at The Aventura Arts & Cultural Center. Tickets for A Jew Grows in Brooklyn range from $45 – $75 and can be purchased by phone at 877-311-7469 or on line at www.aventuracenter.org. For information about group rates (10 or more) call 954-660-6307. For more information about A Jew Grows in Brooklyn and/or Jake Ehrenreich, please visit www.jakeehrenreich.com or contact Carol Kassie (ckassie@gmail.com / 561-445-9244). A video featuring highlights from A Jew Grows in Brooklyn can be seen HERE. Slow Burn Theatre Company’s production of the musical BONNIE & CLYDE is a South Florida Premiere! BOCA RATON, FL – Continuing their sixth season, the award-winning Slow Burn Theatre Company will present the South Florida premiere of the musical Bonnie & Clyde. The production will run from January 22nd through February 8th at the West Boca Performing Arts Theater on the campus of West Boca Raton Community High School on Glades Road, in Boca Raton, and from February 12th through February 15th at the Aventura Arts & Cultural Center in Aventura. 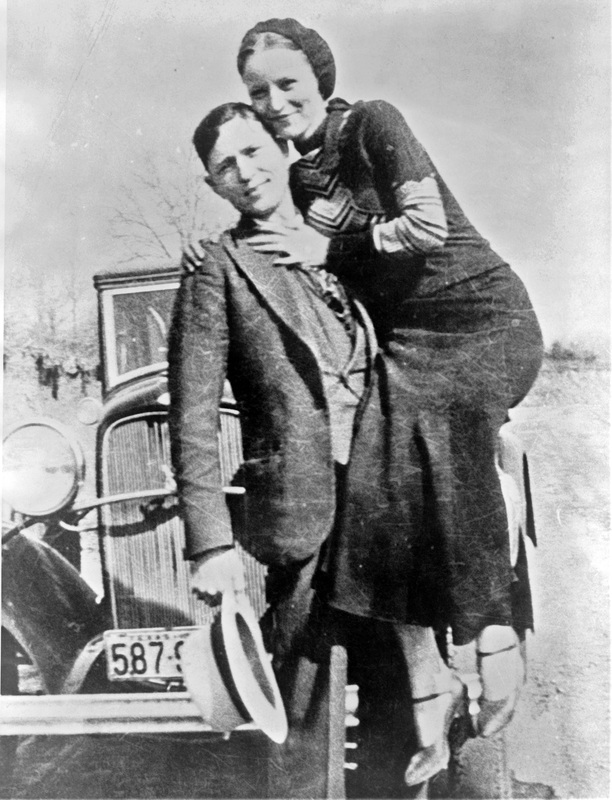 Bonnie & Clyde recounts the storied ‘careers’ of Bonnie Parker and Clyde Barrow – who went from being two small-town nobodies in West Texas to becoming America’s most renowned folk heroes – and the Texas law enforcement’s worst nightmare. Fearless, shameless, and alluring, their dangerous, daring, and deadly escapades captured the excited attention of an entire country. The Tony nominated Bonnie & Clyde, with music composed by the legendary Frank Wildhorn (Jekyll & Hyde, Civil War, Dracula) is an electrifying story of love, adventure, and crime. Bonnie & Clyde’s book is by Ivan Menchell and the show’s lyrics are by Don Black. The cast of Slow Burn Theatre’s Bonnie & Clyde includes: Bruno Faria (Clyde), Jessica Brooke Sanford (Bonnie), Kaela Antolino (Blanche), Christian Vandepas (Buck), Patrick Rodriguez (Ted), David Cohn (Preacher), David Michael Sirois (Sheriff Schmid), Kaitlyn O’Neill (Emma Parker), Meredith Bartmon (Cumie Barrow), and an ensemble featuring Matthew Korinko, Rick Peña, Erin Pittleman, Idalmy Carcache, Conor Walton, Janelle Sango, Bradley Mack, and Dan Carter. Also featured are Juliette Valle and Nicholas Ismailoff as Young Bonnie & Clyde. The Creative Team for Bonnie & Clyde includes: Patrick Fitzwater (Director), Manny Schvartzman (Music Director), Sean McClelland (Scenic Designer), Lance Blank (Lighting Designer), Danny Butler (Sound Designer), and Rick Peña (Costume Designer). Slow Burn Theatre Company is an award winning locally based professional theatre group providing South Florida’s diverse population with opportunities to experience high quality, daring, contemporary and intelligent works of musical theatre. Shows are selected that educate and provoke thought as well as entertain. Bonnie & Clyde will run for a total of sixteen performances – twelve at the West Boca Performing Arts Theater on the campus of West Boca Raton High School on Glades Road in Boca Raton, and four at the Aventura Arts & Culture Center in Aventura. Tickets for the West Boca dates are available at http://slowburntheatre.org ,or by calling 866-811-4111. Tickets for the Aventura dates are available at www.aventuracenter.org or by calling 877-311-7469.